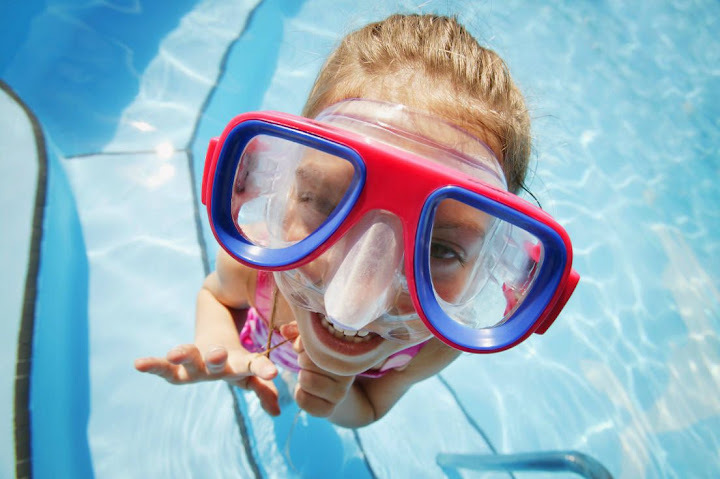 The use of swimming goggles prevents eye contact with water, irritating by the chlorine and PH and potential carrier of bacteria, in addition to providing comfort by keeping splashes away from the eyes. They must allow a clear view inside and outside the water, with a crystal that meets European standards and that does not reduce or increase the diopters. They must protect against ultraviolet rays. They shouldn’t present live edges, ridges, peaks outgoing, etc. They must be made of hypoallergenic materials, unbreakable and undeformable, shock-resistant. They must be accompanied by a label that is specified by the manufacturer or supplier, the characteristics of their use, the degree of protection and standards of cleanliness and maintenance. Excellent shape retention over time. Also, there are already on the market msks with 180 degrees of waterfowl viewing, which avoid the feeling of claustrophobia, dizziness, double vision or disorientation. So, you don’t have any excuse, start protecting your eyes and your kids’s.